The Knicks have a lot of holes to fill as they rebuild. A sweet-shooting seven-footer with the personality to light up New York could be a nice starting point. 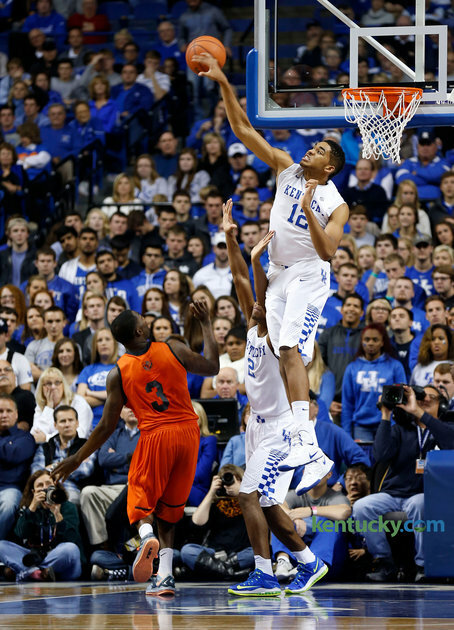 Enter UK’s Karl-Anthony Towns. I interviewed Kentucky basketball writer Glenn Logan from A Sea Of Blue about the player who may be the next big thing. This entry was tagged karl anthony-towns, NBA, nba draft, New York Knicks, posting and toasting, university of kentucky. Bookmark the permalink.